Every Sunday we take an INDEEp look into an emerging indie artist. This week we Shine the Sunday Spotlight on Pure Bathing Culture. 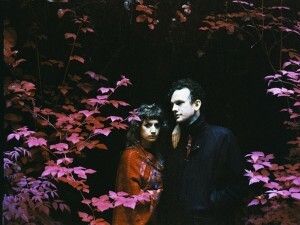 The Portland, Oregon based indie pop duo of Daniel Hindman (guitar) and Sarah Versprille (keyboards) have been the talk of the town since moving to the Pacific Northwest from NYC in 2011. Their 80′s soft rock sound has been compared to Fleetwood Mac and Cocteau Twins. This past Tuesday these rising stars released their much-anticipated debut full-length Moon Tides. The LP Moon Tides was preceded by a four song self-titled EP that was released back on May 7. Earlier this summer the indie buzz escalated when the band shared the single “Pendulum” (listen to it below). Prior the forming in 2011, the duo were members of the indie folk outfit Vetiver. Sunday September 15 – Local Natives – Marquee -Tempe, Az.